There's a new challenge going on at Kards for Kids. There are a few, actually! Baby cards are due May 30th in Bela's hands and Fairytale cards by June 30. The first one had to be an "Ariel" type mermaid, no less. I have a lot of trouble colouring with that red copic marker, but I think this one turned out okay. After I put her down on the card, I realized I should have cut out inside the tail. Oh well. Live and learn! I like how the orange hair turned out too. I used a Quickutz (now Lifestyle Crafts) bubble embossing folder on the background and some Lifestyle Crafts self adhesive cork. I thought the cork would make a nice sandy sea floor kind of look. The top patterned paper are various scraps I had about. I made one with darker skin too for variety. I coloured over the sea horses and the mermaid fins with Sakura glitter gel pens. The sparkle from these pens is so fantastically girly (but hard to photograph). Click for close up view. The sentiment stamp is from a set of mix and match words by Close to My Heart. I got them from Sheri, whom I met through the Smiley Team too. I also got a stamp set with some crowns in it, so we'll see if I can squeeze out a few princely cards after tax season! A friend of ours in the U.S. had asked if I could make something special for his little girl for Valentine's Day. 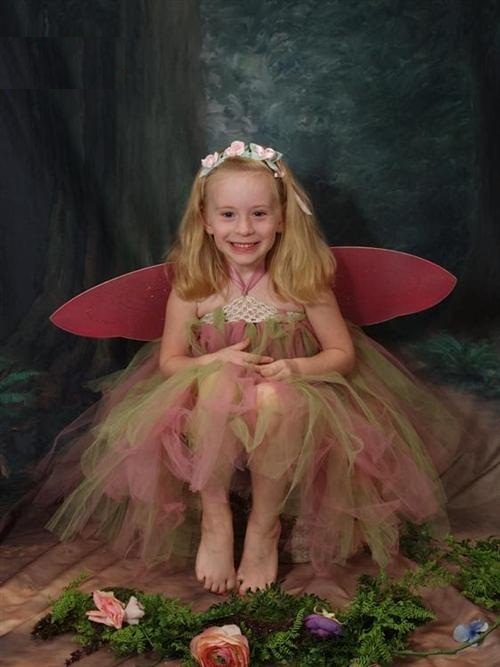 Not long ago, she was in to fairies, and then it was mermaids. Well, now it is dragons. I had purchased this fantastic baby dragon digital image by A Day for Daisies and I hadn't used it yet. It was the first thing that popped in to my head! It's quite rare that I create specifically for girls. I have only nephews myself! I had a rough time matching enough pinks together. I used a Sakura gel sparkle pen on the wings and the dragon's spots. I used some sprinkles from Annabelle Stamps and seam binding from Stampin' Up!. I also used my fiskars border punch and Stampin' Up! nesting frames. Oh yes, I pulled out a lot of tools for this card! I coloured the dragon with my Copic markers. Again, I don't have a whole array of pink. I made another one in blue and it looks much more blended. One day, if it ever makes it to a card, you might even get to see it! And here is the recipient of this card. Isn't she darling?